LOL, too funny. I saw a construction worker doing this with his cooler last week, except he wase taking up a lot of space and didn't move when people had to get off at Pickering. For some people it is built into their cane. Maybe that is the case here? I have one of those for camping. It's about the size of an umbrella and carried in a long bag. Mine also telescopes too so its even smaller. Hm... I wonder if it's worth selling it to an express train commuter. 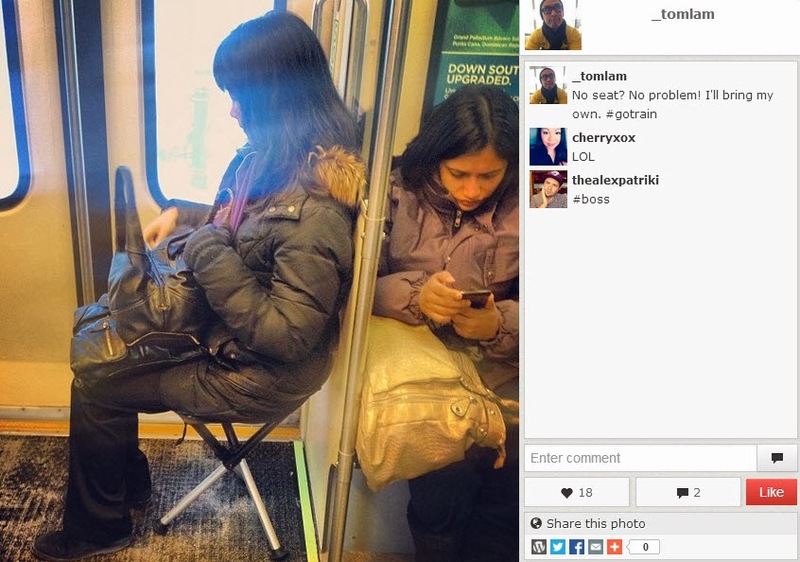 Oh I can see how well this would work out on a packed LS train if everyone had them! As long as she clears the doorways when passengers are disembarking on that side, I don't see a problem with this.